Hello, all. 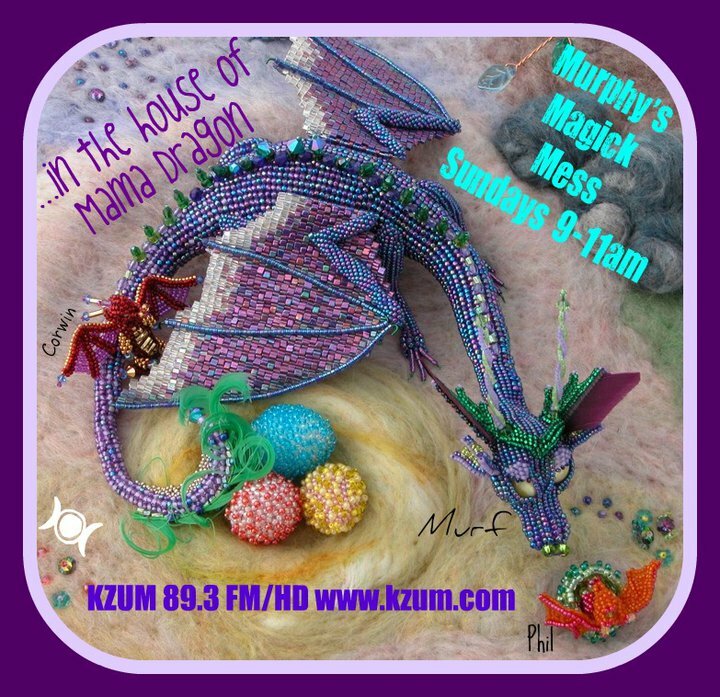 I’ve been rather remiss of late when it comes to sharing our play lists and other notes from the shows, both those on PMPChannel and the shows I am involved in on KZUM. We’ll see what we can do to rectify that. Here is the playlist from Murphy’s Magic Mess on the 10th. It was our Veterans’s Day celebration, so much of the music fits into that theme. It was also one of our SoundExchange tracking weeks, so the format of the playlist is taking straight from the tracking spreadsheet. I had the pleasure of selecting the music, and these 20 tracks are just half of what I selected. We also had a nice little visit with Josh Bivins of UNL Pagan Life, the Pagan student group at the University of Nebraska-Lincoln.